Natalie Ruane considers the potential employment issues and likely practical outcomes of the Brexit negotiations on the UK Leisure and Tourism industry. The EU provides the UK Leisure and Tourism (L&T) industry with an invaluable supply of skilled staff who are willing to work at competitive rates. Thanks to free movement, these employees can be engaged quickly and easily without significant recruitment cost. This means in turn that the industry can increase capacity quickly in response to demand during peak times. By its very nature, the work available in the UK L&T sector is attractive to European workers looking for short term positions with living accommodation and flexible hours. 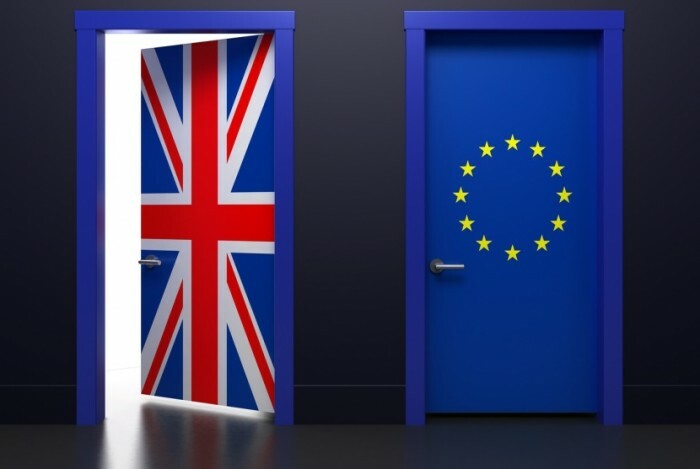 However, after the decision to leave the EU, the sector now faces a period of uncertainty as to how Brexit may impact recruitment, retention and the governance of employees, as well as the commercial impact on the sector generally. In this article, we consider the potential issues that might arise in these areas and the likely practical outcome of the Brexit negotiations. The industry now faces the possibility of tighter visa regulation which makes it difficult for workers to enter (and remain) in the UK, similar to the current system for non-EU citizens (whereby skilled workers and students can stay for a limited period). This will mean higher costs in recruiting staff who would have otherwise come willingly and freely from Europe to the UK to live and work. For the L&T industry, a points-based visa system is unlikely to offer a solution. As well as being a slow and expensive process, it is unlikely to be fit for purpose for the L&T industry since it is often low-skilled staff that the industry needs, not university educated students or graduates. Recruiting replacements from the UK talent pool is likely to be difficult since unemployment levels are relatively low in the UK and, in addition, the low skilled roles which have previously been filled by European workers often come with low pay, flexible hours and are labour intensive, making them difficult to recruit to. It is difficult to remedy this, since increasing pay or offering fixed hours is costly and inefficient due to the seasonality and often unpredictable customer demand, which characterises the L&T industry. The result of the Referendum on migration of workers to the UK is already apparent: the jobsite Indeed has seen a sharp rise in people searching for jobs outside of the UK, and job searches from EU countries have now shifted focus to Ireland rather than the UK. Source: People 1st survey 2015. A hard-to-fill vacancy is generally defined as a vacancy that an employer struggles to fill due to not finding suitable applicants for with the skills, qualifications or experience to do the job. The result is likely to be a shortfall in skilled staff in this sector and in turn, the sector’s ability to serve customers at the standard they have come to expect may be difficult to maintain. It is expected, however, that the government will be urged to revise the current points-based system which applies to non EU-Nationals to offer different criteria to employing EU nationals compared to non-EUs to ensure that the UK can continue to recruit the talent it needs. In reality transitional arrangements and concessions are likely to be negotiated as part of any trade deal with Europe in which tariff-free access to the single market, including its talent pool, will be a priority. Those European staff who are already working within the sector may find that their working rights are restricted, impacting their right to remain in the UK. There is also the risk that some Europeans may want to leave because they no longer feel welcome. Either way, employers may face losing the investment they have made in these workers, whether that be time spent in providing vocational training or financially if the company has funded courses and qualifications for the worker. It seems likely that transitional arrangements and concessions will ensure that any EU citizens already in the UK will continue to have unrestricted right to live and work in the UK. It is expected that the UK government would agree an amnesty, whereby existing EU migrants could stay (at least for a reasonable period) in return for permission for UK citizens abroad to remain where they are; and that they should be allowed sufficient time to obtain citizenship of the country in which they are residing and to return home if they fail to do so. If Europeans are to be required to have a visa to travel here, this may serve as a serious disincentive compared to travelling elsewhere within Europe. This will have a serious impact on the industry given that tourism from Europe to the UK is over double that from the rest of the world. In the event of a decline in demand, employers may find themselves overstaffed and having to consider making redundancies. This is yet to be determined. However, it may be offset slightly by the impact of the falling value of the pound, since UK nationals may be encouraged to take domestic holidays, and if foreigners are getting value for money on the exchange rate, it may also encourage international visitors to visit the UK as their first holiday choice. A significant part of the employment legislation in place is already provided for by UK law, so Brexit has no significant impact. For example, the relatively new shared parental leave, race and disability discrimination legislation is purely domestic in origin. Much of the European introductions into employment law have been welcomed by both employers and employees alike, so there is no appetite for change. For example, anti-discrimination law and the right to paid holidays under the Working Time Directive. Observing fundamental principles of EU law is likely to be a condition of any ongoing trading relationship with Europe. The UK, like other non-EU countries such as Norway, will be expected to provide a minimum amount of EU employment and social protection to its citizens if it wants to maintain a working relationship with Europe. The Transfer of Undertakings (Protection of Employment) Regulations 2006 may be subject to some changes to make them more business friendly; for example allowing the currently prohibited harmonisation of terms and conditions of employment for all employees following a business transfer. While any significant changes to the Working Time Regulations seems unlikely, aspects including the limit of 48 hours on a working week and the right to paid holiday may be subject to amendment. In the case of holidays, the right to keep accruing holiday while on sick and the calculation of holiday pay having to include all aspects of remuneration (including overtime and commission) may be subject to change. Both of these relatively recent modifications to the law on holiday pay were introduced by decisions on the Court of Justice of the EU, noting that on leaving the EU, the ECJ will no longer have jurisdiction over the UK courts. The Agency Worker Regulations are unpopular and we may see repeal of these in the future, due to their complexity and relatively new status meaning they are not yet embedded in a way that might make them politically difficult to remove. Provide some reassurance to current employees that the transitional provisions are very likely to preserve their right to remain. Encourage those foreign employees who are eligible (in the UK this would require a minimum stay of 5 years) to apply for permanent residence. Applying for citizenship may be an option for some employees who have dual nationality. Deal with any incidents of prejudice or discrimination in the workplace against foreign employees robustly under your Equal Opportunities Policy and Disciplinary procedure, noting your duty to take reasonable steps to protect employees from harassment from third parties (including clients, agents and customers) as well as from other employees. Consider contingency planning, in particular how to enhance your recruitment campaigns and improve retention, for example, offering apprenticeships, career progression, vocational and professional training and improving working practice and employee relations generally to enhance retention.